The Top Employers Institute, a certifier recognising employers that provide world-class employee conditions, has released its list of Certified UK Top Employers for 2019. Over 600 HR professionals gathered at London’s Hilton on Park Lane, on the 31st January 2019, to recognise the best employers in the UK. Abbott Global health technology company employing 99,000 staff committed to helping people live their best life possible through the power of health. AbbVie AbbVie is a global biopharmaceutical company committed to developing innovative advanced therapies for some of the world’s most complex conditions across four primary therapeutic areas: immunology, oncology, virology and neuroscience. AkzoNobel AkzoNobel has been setting the standard in colour and protection since 1792. Our world class portfolio of brands – including Dulux, International and Sikkens – is trusted by customers around the globe. Alcon Eye Care UK Ltd Alcon provides innovative products to address the growing eye care demands of the future and supports the full life cycle of patient needs to enhance the quality of people’s lives. Alphabet (GB) Limited Part of the BMW Group, Alphabet is a leading provider of leasing and mobility services. Helping organisations achieve their fleet and business travel requirements while keeping employees on the move. Amadeus IT Services UK Ltd Our purpose is to shape the future of travel. We are passionate in our pursuit of better technology that makes better journeys by connecting the entire travel ecosystem. ASDA Asda is one of Britain’s leading retailers. With more than 584 stores in the UK, over 18m people shop at Asda stores every week and 99% of UK homes are served by www.ASDA.com. Avanade UK LTD The leading provider of innovative digital and cloud business solutions, delivered through the power of people and the Microsoft ecosystem. Avon Cosmetics Ltd A global force for women, with six million Avon Representatives providing accessible beauty to millions of customers, supported by a workforce of 25,000 associates in over 50 markets worldwide. Bentley Motors The most sought-after luxury car brand in the world. Bouygues Construction As a global player in construction and services, Bouygues Construction designs, builds and operates public and private buildings, transport infrastructures, energy and communications networks, helping customers shape a better life. British American Tobacco UK British American Tobacco is a leading tobacco group, with brands sold in more than 200 markets. They employ more than 55,000 people and have over 200 brands in their portfolio. BSH Home Appliances BSH Hausgeräte GmbH is the largest home appliance manufacturer in Europe. To be the first choice for consumers worldwide drives the company and its employees. Bureau Veritas UK Global leader in Testing, Inspection and Certification (TIC), delivering high-quality services to help clients meet the growing challenges of quality, safety, environmental protection, and social responsibility. Canon Europe Limited Canon is the world’s best imaging company – driven to enrich the lives and businesses of our customers with innovative products, smart digital solutions and services. CDL CDL has established its position as a market leader in the competitive retail insurance sector by creating powerful software solutions that deliver competitive and innovative advantage to our customers. CGI UK Serving clients from hundreds of locations worldwide, CGI is a leading IT and business consulting services firm focused on being a partner, employer and investment of choice. CHEP UK Ltd CHEP is a global provider of innovative supply chain solutions, tailored to the unique business requirements of its customers, and has over 1,100 employees. Chiesi At Chiesi, we owe our continued success to the dedication and hard work of our people to give patients access to innovative medicines that improve quality of life. Cognizant Worldwide Limited Cognizant is one of the world’s leading professional services companies, transforming clients’? business, operating and technology models for the digital era. DHL International (UK) Limited One of the world’s largest international providers of courier and express distribution services. Its global network spans 500 airports in 220 countries, and it moves more than 400 million packages each year. DHL Supply Chain UK DHL Supply Chain is the world’s leading contract logistics provider, offering specialist expertise within the Automotive, Consumer, Chemicals, Energy, Engineering & Manufacturing, Life Sciences & Healthcare, Retail and Technology sectors. Dimension Data Dimension Data is a global systems integrator and managed services provider for Hybrid IT. We bring together the world’s best technology with service support, to help businesses achieve greatness. East Midlands Trains Limited Recognised as the UK’s best performing long distance train operator, delivering over 470 services daily across the East of England. EDPR UK Ltd EDPR is a global leader in the renewable energy sector and the world’s fourth-largest wind energy producer. Electrolux UK A global leader in household appliances and appliances for professional use, selling more than 60 million products to customers in more than 150 markets every year. Eni International Resources Ltd The international employer of Eni, one of the world’s largest energy companies. Supporting hundreds of globally mobile professionals during their careers on international assignment all around the world. ERIKS UK From simple product supply or repair to fully integrated indirect supply chains or asset management, ERIKS’ multi-product know-how and innovation, coupled with passion, continuously delivers life-long, cost saving business solutions. Experian Limited UK Experian is the world’s leading global information services company, helping individuals to access financial services, businesses to make smarter decisions, lenders to lend more responsibly, and organisations to prevent identity fraud and crime. Faurecia – United Kingdom As a global leader in automotive technology, Faurecia provides innovative solutions to automotive challenges within its three strategic businesses: Faurecia Seating, Faurecia Interiors and Faurecia Clean Mobility. Fidessa PLC Fidessa provides exceptional trading, investment and information solutions for the world’s financial community. FirstPort Limited FirstPort is the UK’s largest residential property manager, overseeing 185,000 homes in 3,900 developments. With four decades of experience its 3,000 employees work with developers, investors, freeholders and Resident Management Companies. Foster + Partners Foster + Partners is a global studio for architecture, urbanism and design, rooted in sustainability. Founded in 1967 by Norman Foster. Goodyear UK Goodyear is one of the world’s largest tyre companies. Its two Innovation Centres in Akron, Ohio, and Colmar-Berg, Luxembourg, strive to develop state-of-the-art products and services that set the technology and performance standard for the industry. GroupM UK Limited GroupM is the world’s leading media investment company which creates competitive advantage for advertisers via its organisation of media experts who deliver powerful insights on consumers and media platforms, trading expertise, market-leading brand-safe media, technology solutions, addressable TV and more. Harrods One of the the most well-known and respected retail brands in the world. They employ approximately 10,000 people who serve over 15 million customers a year. HEINEKEN UK HEINEKEN is the UK’s leading pub, cider and beer business. We own 2,700 pubs as part of our Star Pubs & Bars business, employ 2,400 people and have over 20 cider and beer brands in our portfolio. Homes for Haringey Homes for Haringey is an Arms Length Management Organisation, managing over 21,000 homes on behalf of Haringey Council. Established in 2006, they employ over 700 members of staff. IG Global leader in online trading that empowers informed, decisive, adventurous people to access opportunities in the financial markets through an award-winning trading platform. Imperial Tobacco Imperial Tobacco Limited is a market-leading UK tobacco manufacturer, headquartered in Bristol, England. Informa One of the world’s leading business intelligence, academic publishing, knowledge and events businesses. Informa serves customers in many different industries, from Life Sciences to Finance, Beauty, Education, Agriculture and Telecoms, Media and Technology. Infosys Infosys is a global leader in technology services and consulting, enabling clients in 45 countries to create and execute strategies for their digital transformation. International SOS The world’s leading medical and security assistance company. We help businesses operate globally by helping protect their employees to meet their Duty of Care. J D Wetherspoon JD Wetherspoon owns and operates pubs and hotels throughout the UK and Ireland, employing more than 38,000 full and part time staff. 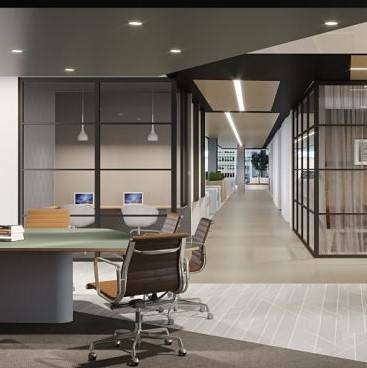 JT International Business Services Part of the Japan Tobacco group, based in our award winning office in Manchester providing financial services to JTI locations worldwide. JTI UK JTI is a member of the Japan Tobacco Group of Companies, a leading international tobacco product manufacturer. Konica Minolta Business Solutions (UK) Ltd Konica Minolta provides Digital Print, IoT, AI and AR solutions, and delivers consultancy and services to optimise business processes and solutions in IT infrastructure and security, as well as cloud environments. Kuehne + Nagel Ltd One of the world’s leading logistics providers, delivering customer excellence every day. Lookers One of the UK’s largest motor retailers, offering a wide range of quality and prestige new and used cars, and tailored aftersales services. Manchester Metropolitan University Manchester Metropolitan University is the largest campus-based undergraduate university in the UK with a total student population of more than 37,000. Merck A pioneering and vibrant science and technology company, in the pharmaceutical sector. Mitie Group plc The UK’s leading facilities management and professional services company, offering a range of specialist services including Security, Engineering Services, Catering, Cleaning, Landscaping, Energy and Property Consultancy, and Custody Support Services. Molson Coors Brewing Co (UK) Ltd One of the largest global brewers with a deep heritage in the UK. Our award winning brands include Carling, Coors Light, Doom Bar, Pravha and the nearly 300-year-old Aspall Cyder brand. MSD For more than a century, MSD, a leading global biopharmaceutical company, has been inventing for life, bringing forward medicines and vaccines for the world’s most challenging diseases. Nice-Pak International The European leader in the manufacture of wet wipes. With production facilities in the UK and Germany producing over 650m packs per year. Novartis Pharmaceuticals A medicines company committed to discovering new ways to improve and extend peoples lives. Novartis products reach nearly one billion people every year. Olympus Surgical Technologies Europe-UK As high-tech specialist within the Olympus Corporation, Olympus Surgical Technologies Europe is the development and manufacturing center for endoscopy, bipolar high-frequency surgery, systems integration in operating rooms and instrument reprocessing systems. Orange Business Services Orange Business Services, the B2B branch of the Orange Group, and its 25,000 employees, is focused on supporting the digital transformation of multinational enterprises and French SMEs across five continents. OVO Energy Ltd OVO is now the UK’s leading independent energy technology company and supplier and serves nearly one million customers with intelligent energy services. PepsiCo UK PepsiCo is home to market-leading brands, including household favourites Walkers, Tropicana, Copella, Quaker and Pepsi MAX. PepsiCo products are enjoyed in more than 200 countries and territories around the world. Pfizer Limited A biopharmaceutical company applying science and global company resources to innovate to bring therapies that significantly improve patients’ lives through the discovery, development and manufacture of medicines. Philip Morris International PMI is designing a Smoke-Free Future, investing over £3bn billion in developing better alternatives to cigarettes. We want to play our part working with the Government to achieve their goal of a Smoke-Free Generation. Phoenix Group The largest specialist consolidator of heritage life assurance funds in Europe. Its main focus is on closed life fund consolidation where it specialises in the acquisition and management of closed life insurance and pension funds. QVC UK Leading global retailer combining the best of live TV, digital and social to offer consumers well-known brands and newly discovered, niche collections. Proud to be a UK Top Employer for 6 years in a row. Rider Levett Bucknall UK Limited With a heritage spanning two centuries, Rider Levett Bucknall provides global quantity surveying, cost management and construction project advisory services. RM plc Whether it’s technology for schools or exam boards, or the educational resources you could find in a primary school, we help teachers teach and learners learn. Roche Diagnostics Ltd & Roche Diabetes Care Ltd A global diagnostics pioneer, advancing science to improve lives, leading the world in tissue-based cancer diagnostics and in-vitro diagnostics, and is a frontrunner in diabetes management. Roche Products Limited Re-writing scientific history for over 120 years, we discover innovative healthcare solutions that help millions of people across the world live longer and better lives every hour of every day. Sacker & Partners LLP The UK’s leading law firm for workplace pension schemes, advising trustees, employers, and providers. Saffery Champness The 12th largest accountancy firm in the UK specialising in advising owner-managed businesses, entrepreneurs, families and trusts, charities, not-for-profit organisations and landed estates. Saint-Gobain UK and Ireland Designs, manufactures and distributes building materials to create great places and improve daily life. Provides innovative solutions to today’s critical challenges of growth, energy efficiency and environmental protection. Sandoz Limited UK Sandoz is a global leader in generic pharmaceuticals and biosimilars. As a division of the Novartis Group, its purpose is to discover new ways to improve and extend people’s lives. Sanofi Sanofi is a global life sciences company committed to improving access to healthcare and supporting the people it serves throughout the continuum of care. Santander UK A financial services provider that offers a wide range of personal and commercial financial products and services to approx. 15 million customers. SAP UK Ltd SAP is a market leader in enterprise application software, helping businesses run better. SAP applications and services enable customers to operate profitably, adapt continuously, and grow sustainably. SAS SAS is the leader in analytics. Through innovative software and services, SAS empowers and inspires customers around the world to transform data into intelligence. Securitas Security Services UK Securitas blends people, technology and knowledge to deliver total protection. Securitas layers six Protective Services: On-Site, Mobile, Electronic, Remote Security, Fire & Safety and Corporate Risk Management to provide intelligent, pro-active security. Starbucks Coffee Company UK Today, with more than 25,000 stores around the globe, Starbucks is the premier roaster and retailer of specialty coffee in the world. Tata Consultancy Services Tata Consultancy Services is an IT services, consulting and business solutions organization that has been partnering with many of the world’s largest businesses in their transformation journeys for the last fifty years. Travis Perkins Plc The UK’s leading supplier of materials to the building and construction and home improvement markets. The Group operates 20+ businesses from over 2,000 sites across the UK and employs over 28,000 people. Valeo UK A global, automotive industry supplier focused on design, innovation and the reduction of CO2 emissions. Vauxhall Motors Vauxhall Motors started manufacturing cars in 1903. Over 100 years later, as one of Britain’s most familiar and loved automotive manufacturers, its philosophy remains the same: building vehicles that are relevant for all. Virtusa UK Virtusa Corporation is a global provider of Digital Business Transformation, Digital Engineering, and Information Technology (IT) outsourcing services that accelerates our clients’ journey to their Digital Future. Weightmans LLP A Top 45 UK law firm with seven offices, a turnover of £97.1 million and over 1,300 employees. Whirlpool Corporation The world’s leading major home appliance company, with approximately $21 billion in annual sales, 92,000 employees and 70 manufacturing and technology research centers worldwide. Whitbread Whitbread is the UK’s leading hotel operator with over 35,000 employees who are passionate about making everyday experiences special for our millions of customers both in the UK and overseas. Wythenshawe Community Housing Group Housing Association responsible for the management of almost 14000 homes who’s vision is creating communities where people choose to live and work, having pride in their homes and value the services.